58 Water Street: March Fab Furniture Flippin Contest: Mix and Match with Fairfield World! 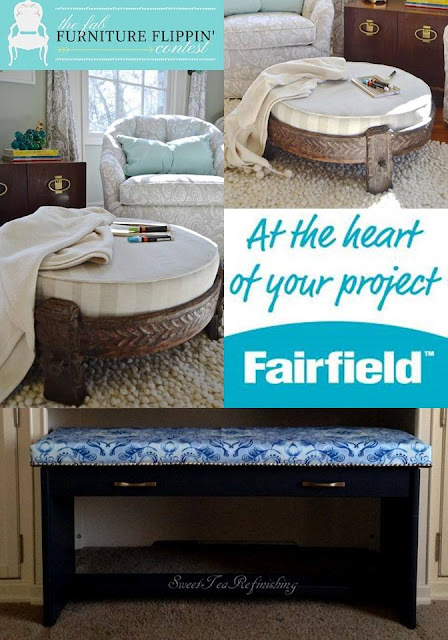 March Fab Furniture Flippin Contest: Mix and Match with Fairfield World! I'm back with another furniture makeover! I accidentally fell off the face of the earth, which happens sometimes with kids, a family, a job, winter in Ohio, the holidays. I woke up and just like that, it's March and House of Cards season 4 is out. Boom! There goes the weekend! 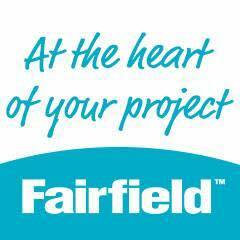 This month we are partnering with Fairfield World. I decided to re-work a set of vintage barrel chairs that I updated six years ago. My how tastes change in a matter of years. 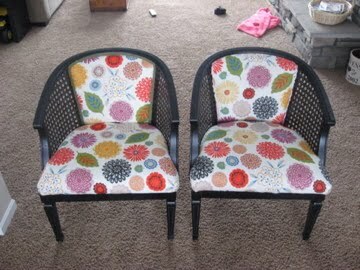 I fell out of love with the chairs, and day-dreamed about how I might update them if I had the opportunity. Then opportunity knocked in the form of Fairfield World. 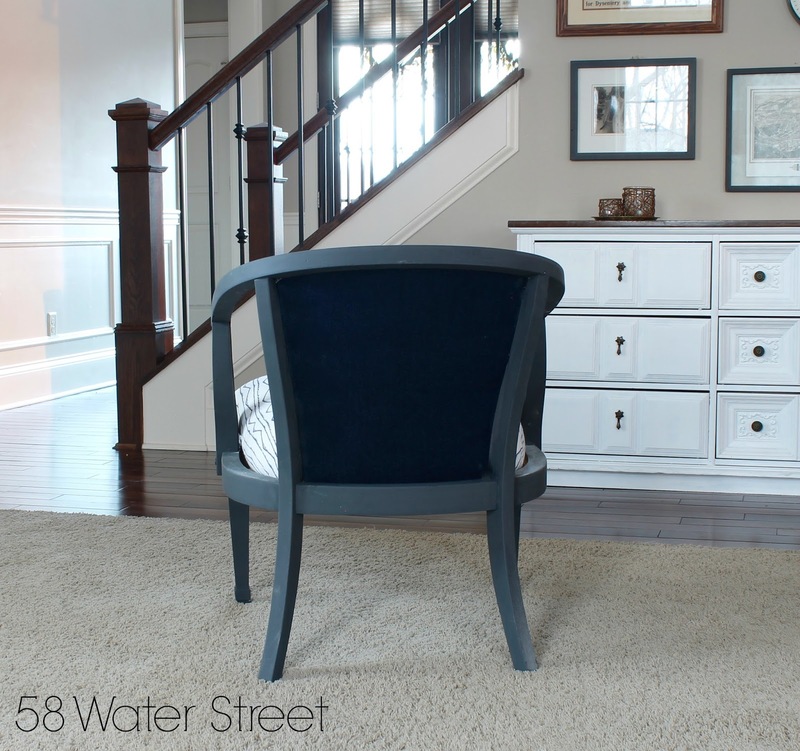 This type of chair is only slightly more challenging than updating a dining chair, which simply involves removing the seat and stapling fabric to the frame, then covering the staples with trim. It is the perfect intermediate project. Choosing fabric is always a struggle for me because I can't make a decision to save my life. And also, man, do I regret painting the caning and exposed wooden frame six years ago. (shakes fist at Pinterest!) I just don't have paint removal in me right now. But the black frame is so harsh, and not in step with my decor. A nice stained wood frame sure would look nice with the fabric I chose. Sigh. 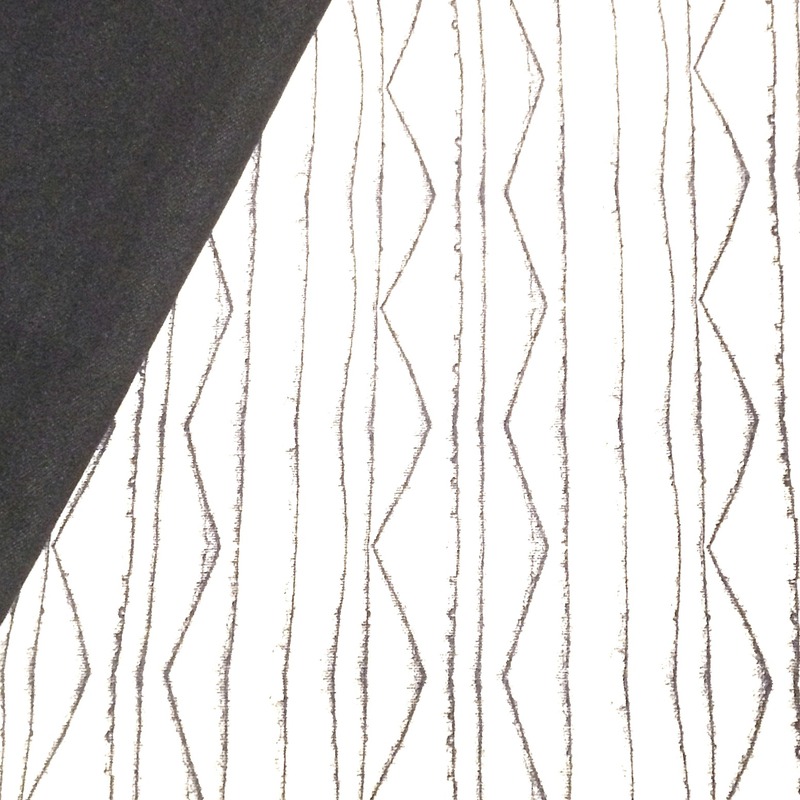 So after a week or so of trolling my favorite sites, I decided on this fabric, paired with a painted gray frame. 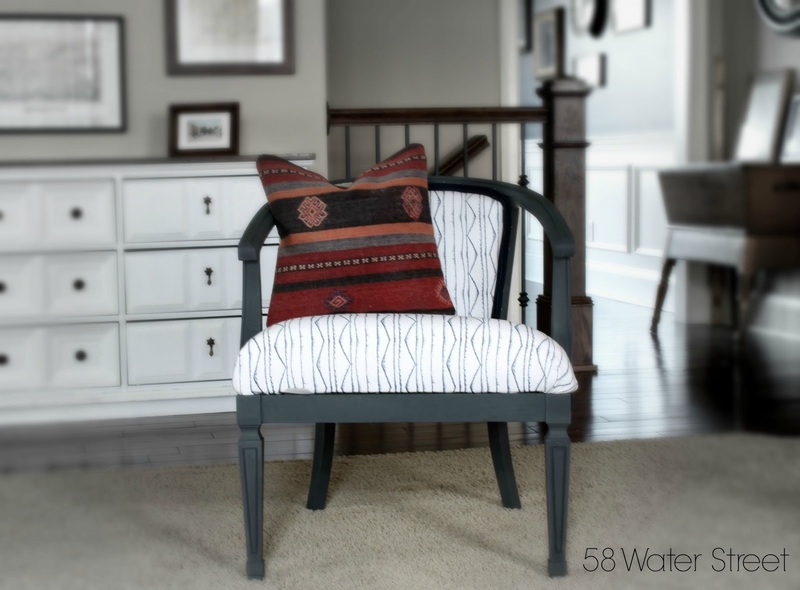 When I brought the fabric home, and laid it across the chair, it felt like it needed something more. 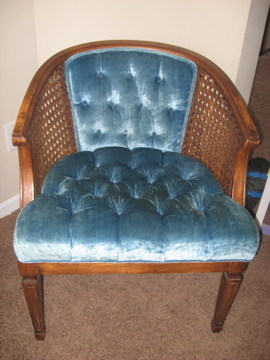 I pulled the perfect piece of deep indigo fabric from my stash, and had just enough to use on the back of the chair. This is my idea of karma. I must have done something right because the fairies of fabric and happiness blessed me with the perfect accent fabric. Thanks fabric fairies. I just love that dark blue material against the gray frame. The vintage kilim pillows were an Etsy purchase. 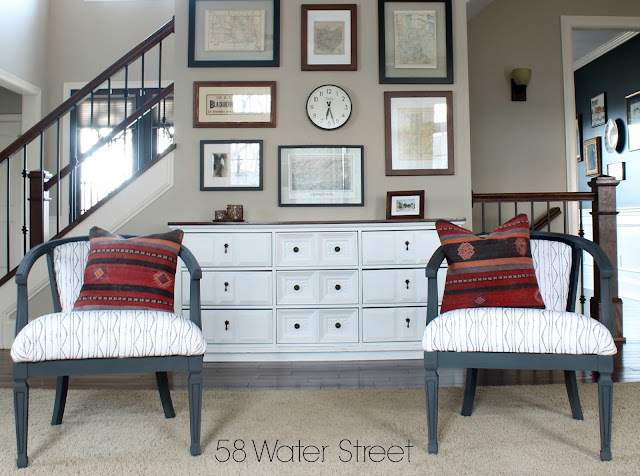 Furniture and decorating geeks will relate to that spark of giddiness you experience when you lay your eyes on the materials of a project and it looks awesome, all in a pile on the table. I'm known to high five myself in my kitchen. Then I dance awkwardly, which may be what the fairies of fabric and happiness reward me for. So, with the decorative elements out of the way, I got started with materials from Fairfield World. I was not happy with the way the cushions turned out after my first upholstery job. Initially I reused the original foam, and it was too thin and lumpy from the tufting. This time I ordered 5" thick foam for the seats and batting for the chair backs and seats. I wanted the seats to be thick and full. I set the wooden seat frame on the foam and traced around it as a pattern. Electric carving knives work great to cut through this type of foam. Like a warm knife through butter. 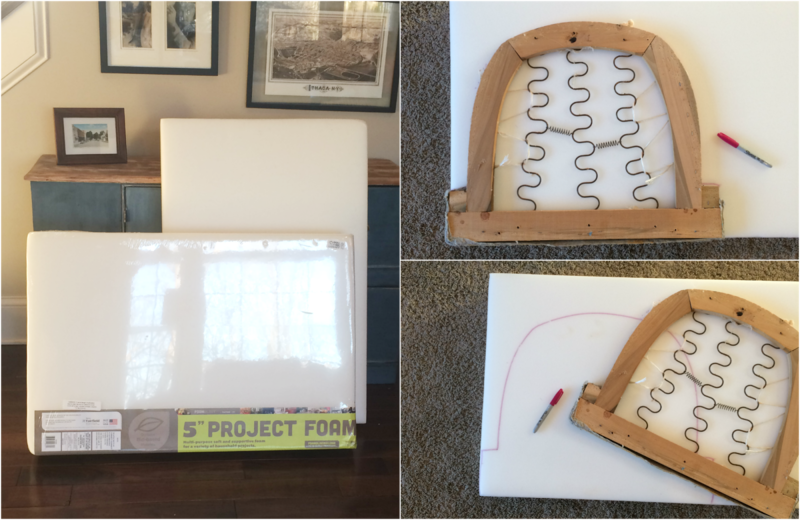 I made a sandwich of fabric (right side down), batting, foam, and wooden frame, and wrapped the fabric very tightly around everything, pulling, and stapling until there were no lumps. The batting also went into the chair back, between the fabric and cardboard center. This layer of batting just gives the chair back some body. Oh! I also removed the caning on the sides. I felt like this dated the chairs, and I really wanted to give the chairs a whole new look. Let the March contest begin! This month's contest is open to the 35 entrants who signed up on the Facebook member page. 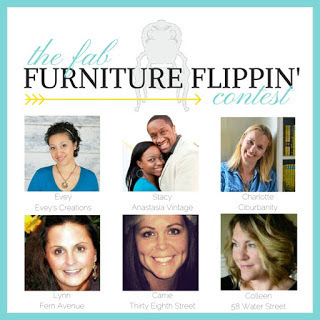 If you are interested in participating in future months, please email us at info@fabfurnitureflippincontest.com for details. We are always excited to meet new talented furniture flippers! Now hop over to See what Charlotte at Ciburbanity created with Fairfield this month! And be sure to check in with all of our hosts for inspiration. Such a beautiful set of chairs.... you've inspired me to pick up a couple and revamp them for my living room. Thanks for sharing the step by step. Girl, you ALWAYS kill it! LOVE! Pretty amazing transformation, I love the new look after you remove the cane at the sides. They are really pretty, way prettier that the original ones or your previous makeover ;) Love how they look without the cane. What a great piece! Don't worry, it usually takes me 2 years to get a project done from the time a piece enters the garage. Yours looks beautiful now.